* Double Side Comb with Medium Teeth on one side and Coarse Teeth on other side. 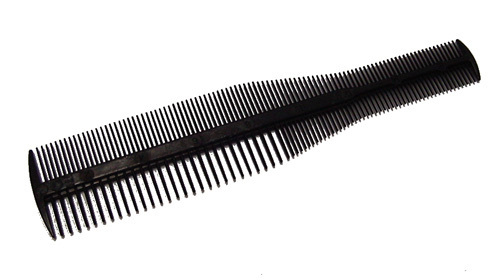 * The Ego Comb parts off a section just as easily as any standard comb, with the choice of wide or narrow tines. * Directing hair is just as efficient as parting. * In preparing to refine the hair, The Ego Comb is just rotated. No flipping is necessary. No danger of dropping. * No repetitive stress on the wrist. No need to switch combs during any haircut. The sytlist needs only to use the Ego Comb.